The most common oral surgery procedure is the extraction of wisdom teeth. There are some problems that are caused by wisdom teeth as they are trying to grow out of the gums. There are times when the wisdom tooth is impacted, and this means that it is not growing at the right angle; hence it is not following the gum line. This might lead to pain, and the tooth might not come in evenly, or it might not emerge completely. There is a flap of skin, known as operculum, which forms over the tooth when the tooth does not emerge completely. If this happens, it will be hard to clean the tooth and sometimes food might be trapped under this skin. This increases the chances of getting an infection known as pericoronitis. The area infected will be painful and it will swell, and this pain will go away on its own. You should remove the wisdom teeth which are impacted because they can cause problems such as infections. The extractions can be done on one tooth only, or it can be done on all the four wisdom teeth. The doctor and the patient will decide on the number of teeth that will be removed. The pain can be reduced by numbing the area where the teeth will be extracted using a local anesthetic. There are other people who like to go under a general anesthetic. This helps in becoming sedated and they will not feel anything during the whole procedure. The wisdom tooth is revealed by cutting the gum tissue around it. It is then gripped tightly and wiggled back and forth to loosen it. This is done until the tooth is removed. There are times when the tooth has been impacted tightly and it will not be possible to remove it from the gums using this procedure. If this happens, then the best way of removing the tooth is by first breaking it into pieces. The extraction site should be closed using sutures. The best sutures are the ones that are soluble because they will dissolves easily. You should rest after the surgery. You will experience anesthesia so a family or a friend should drive you home. The extraction site will bleed for sometime so you should expect this. There is a gauze that will be applied after the surgery, and you should check it and change it when it is soaked. Call the dentist if the extraction site does not stop bleeding after 24 hours. Rest while you are at home and you shouldn’t lie flat. The bleeding will not stop if do this. Your head should be propped up on a pillow when you are lying down. There is a pain medication that you will be prescribed by the dentist, so you should take them when you become sore. An icepack can also be used to ease the pain. There is a cleaning solution, which you will use to clean the extraction site that you might be provided by your dentist. …and all the other foods that you don’t have to chew. Don’t use a straw when you are drinking. This is because the sucking motion will loosen the sutures and the site will not clot faster. You should also avoid smoking because of this. You should call Dr. Lamb at 719-596-0212 immediately at for a checkup if the irritation, bleeding, pain does not disappear. And also when you feel that the extraction site is not healing properly. The most important thing that you need to consider when you are removing a tooth is what you will do with the empty space. The wisdom teeth are found in the back of your mouth, so this will heal properly and you will not see any complications. You should make some plans if you want to remove another tooth. If you remove a tooth and you don’t do anything with the extraction site, then your jawbone will start degenerating and its shape will change when it is healing. The teeth might also shift because of this. You will not be able to bite properly and your ability to chew or speak will be affected if this happens. The space can be filled with a dental implant, but you must have a sturdy jaw if you want to install this implant. The space can also be filled with a dental bridge; this should be done before your teeth shift. The best thing that you can do is to talk with Dr. Lamb at 719-596-0212 before you even remove the teeth. Dr. Lamb will tell you what you will do with the space after you have removed the tooth. You will be given a nice recommendation and you will be shown the best treatment plan. 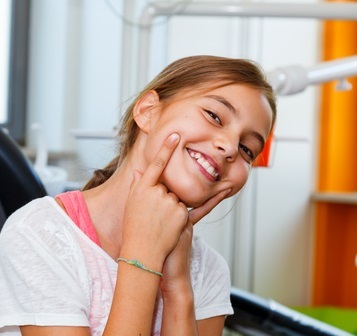 If you want to properly take good care of the extraction site, then you should schedule follow up appointments with Keystone Dental at 719-596-0212 or contact us HERE.